“I can’t eat. I can’t sleep. I’ve been dreaming of my parents every day,” says Wang Zheng, a 31-year old engineer whose parents were aboard missing Malaysia Airlines Flight 370, now into its third week with still no positive yields as to its fate. Ironically, new reports of possible debris 1500 miles off the coast of Western Australia aren’t offering the languishing families and friends the solace they seek–that their loved ones may still be alive, despite its sheer unlikelihood. As humans, hope is often all we can muster up against life’s irrational swells that confront, often adversely, randomly, and without closure, our daily quest for denominated happiness via health, work, food on our tables, and loved ones to share our good luck with on our return at day’s end. Of course, it’s good to have hope in life, since without it we’d find each other mutually insufferable, depressed cranks weighed down by hurt, anger, and resentment. I’m thinking just now of the biblical Job whose troubles were only made worse by his judgmental friends, devoid of empathy, callous to his personal suffering. What prolongs our suffering, however, comes from our need to impose control, especially when it comes to life’s volatility, and thus hope may not really be what we need to shore us up. All of life is laced with the temporal, or ending, a serial repertoire of good-byes. In the vast aeons of Nature, even the mountains are born and die, our own existence as a species hardly a wink up against’s Nature’s several billion year legacy of genesis, maturation and decline. For most of us, coming to terms with our own mortality is our ultimate existential dilemma. and the stuff of poetry, say like Keats (e.g., “When I have fears that I may cease to be”). The Buddha had it right: “All suffering is born of desire.” Our primary desire is often for permanence when the truth is that impermanence embraces everything. Again, we don’t like to say good bye. I knew this first hand as a child, preferring to make myself scarce rather than seeing loved ones off. We spare ourselves considerable grief when we grasp this fundamental truth, an observation shared in universal creeds and philosophic rumination, affirmed by science. We can’t retain our youth; we forfeit our friends, sometimes our mates; we change our jobs and often our locales; we lose our parents; we see our children move out and sometimes far away; and, of course, we always must contend with that random press on human intent and happiness via cosmic intervention such as accident or natural disaster. In all of this, it’s our human disposition to wander between past and future and thus miss out on what we do have–life in the Now–and living mindfully in its effulgence rather than hedonistically, which inevitably comes up short. 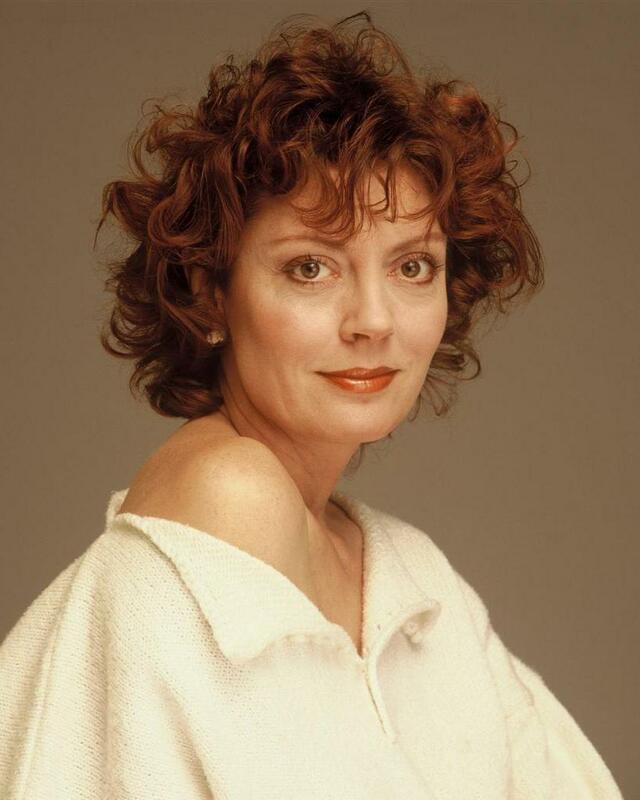 I was just reading about Susan Sarandon, whom I’ve long admired for not only her film achievement, but her compassion for those denied social justice. In her personal life, she mirrors the wisdom of seizing the day, or maximizing our present. Asked why she dissolved her 23-year relationship with Tim Robbins, with whom she had two children, she said that it came after performing in Ionesco’s Exit the King on Broadway, which deals with confronting mortality: “You can’t do a meditation on death and stay in a situation that’s not authentic” (Meg Grant, AARP Magazine, Feb/Mar 2014). I also like her punchline simple formula for everyday happiness: “It’s the simple things. Good food. Good friends. Sunsets and sunrises. With age, you gain maybe not wisdom, but at least a bigger picture” (Grant). This entry was posted in Lifestyle, Reflections and tagged Buddha, Buddhism, film, Hollywood, Sarandon, Susan Sarandon, Tim Robbins. Bookmark the permalink.